Gifted and volatile, Chester Smith is an electrifying showman whose remarkable talents as composer/arranger, inventor and author underscore, both technically and creatively, that he is one of the finest jazz organists on the planet. A product of Philadelphia’s pulsing jazz scene, he started playing the organ at 13, turning pro at 16. His musical career was launched when his “Jazz Machine Band” opened for guitar legend Larry Coryell in 1977. Early on, masters like Duke Ellington, Erroll Garner and, as well, the renowned Jimmy Smith influenced him. 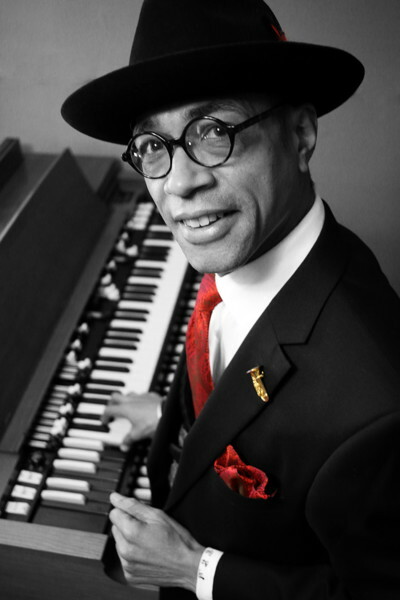 Whether playing the classic Hammond B3 or modern MIDI-keyboards, Chester’s wizardry is unquestionable and his knowledge of new keyboard technologies have earned him accolades in both Downbeat and Keyboard magazines. Chester is a master improviser on piano, organ and orchestral synthesizer. His startling ability to execute facile lines on the organ bass pedals is reminiscent of Ray Brown’s masterful acoustic bass style and Sam Jones’ soulful ness on the upright instrument. The elders of Jazz Organ have long since ceased to play the bass pedals. Not Chester Smith! He is an articulate and passionately swinging player with roots planted firmly in the world of music. He combines technical wizardry and artistic brilliance, which expands the limitations of traditional organ by adding a symphonic scope of sounds in addition to his unique and exciting heel-toe walking bass technique. Not surprisingly, he’s sometimes called “Mr. Feet ‘n’ Fingers”!